My hubby's birthday was last week and as per usual I was in a time crunch. Now, it's not like I don't know his birthday is on the same day every year I just happen to be a procrastinator when it comes to making cards for him. And as I'm sure I've said before, masculine cards are probably the hardest to execute as far as ideas go. Begin by stamping the fox from The Wilderness Awaits set in Tuxedo Black Momento ink onto a piece of Whisper White card stock and a sticky note for masking. Cut out the fox on the sticky note and place over the stamped image. Stamp the tree images repeatedly across the Whisper White card stock using Wild Wasbi ink. Change the height of the trees as they move across the card stock for a little interest. Offset the tree images and stamp again across the page, this time using Mossy Meadow ink. A Stamp-a-ma-jig is a great guide for this process. Add highlights to the tree trunks with a white gel pen. 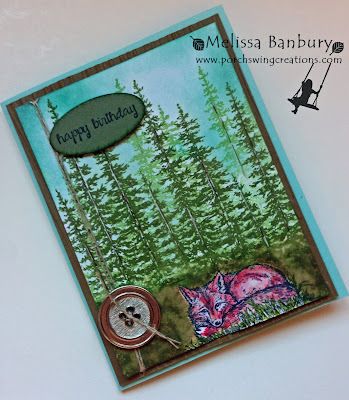 Sponge the areas around the fox and beneath the trees with Mossy Meadow and Soft Suede ink. To color the sky first sponge Soft Sky ink then Marina Mist ink along the outer edges of the card stock for depth. Remove the mask from the fox image and color with an Aqua Painter using Tip Top Taupe and Cajun Craze ink. Small amounts of ink added a little at a time work best to not warp the paper and get better results. 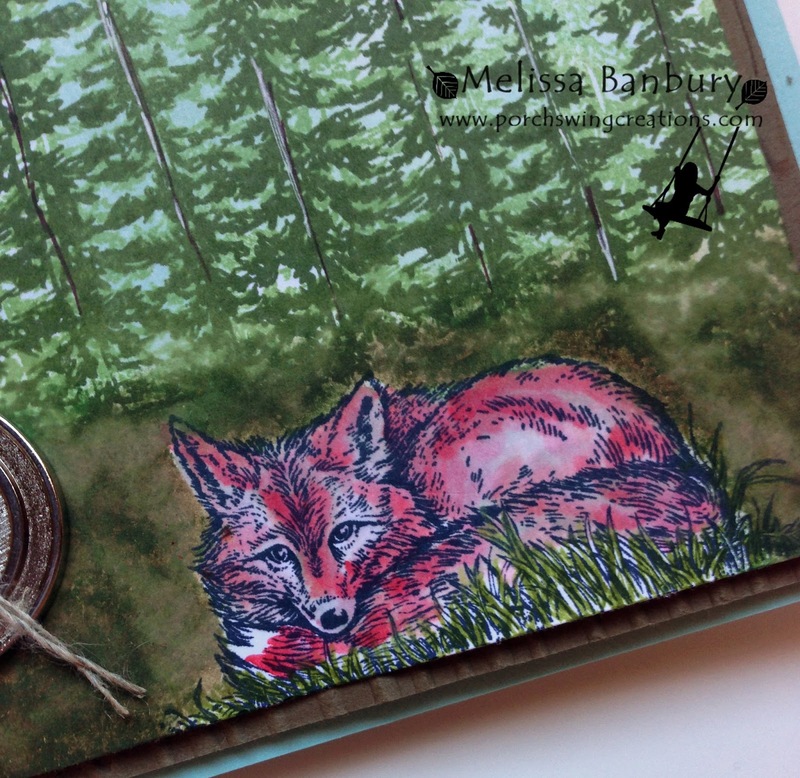 Green grass was added with an Old Olive marker beneath the fox. Finish off the card front panel with a sentiment, a little linen thread wrapped around the far edge, and a metal button for a masculine flair. 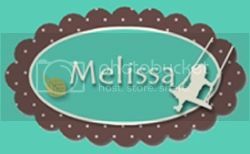 The card front is layered on a Soft Suede mat embossed with the Woodgrain folder, and the card base is standard size in Soft Sky. I hope this has inspired you to give a masculine card a try! I'll be back later on in the week with another share but until then please make sure you sign up for the 12 weeks of Holiday's newsletter (a pop up should have greeted you when you stopped by today). It's going to be full of projects and great tips to get us both through the busiest time of the year!